I was invited to check out the new cafe at LEGOLAND Discovery Center in Grapevine yesterday. I just love the new Coffee Shop look! It looks like it is really made of LEGOS, doesn't it? It even has a canopy-covered entry, windows with cute LEGO flower-filled window boxes and terrace-like seating. So cute! The interior features a coffee shop counter design, exposed brick details, pendant lighting (the red ones are giant LEGO bricks! ), along with booth and bistro seating. It's so much more inviting than their previous cafe design. They now offer Starbucks signature coffee and tea beverages. The Frappuccinos are so refreshing on a hot summer day! Rachel loves that they have even have drink options that aren't coffee-based like Double Chocolate Chip and especially the Vanilla Bean drink that she ordered. So refreshing! They now offer a great selection of food items as well from sandwiches to salads and even cinnamon rolls and ice cream. 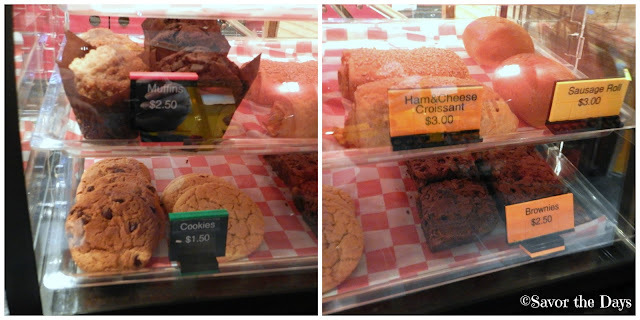 Some of their menu items are made fresh daily by Grapevine's Main Street Bread Baking Company. I tried a turkey sandwich. It was quite good. Of course, the freshly baked chocolate chip cookie was delicious and the perfect way to top off a fun lunch with my girl! I love the new variety in the food menu options. It makes it easier to stay all day and play when you can take care of the munchies anytime they call. After our bellies were full, Rachel had a chance to spend some one-on-one time with a LEGO Master Builder. She built a LEGO flower like the cute ones in the Coffee Shop window boxes. Once she was done building we decided that there was no better way to beat the heat than getting wet on the outdoor Pirate Beach. Rachel loves the jets and fountains on the shipwrecked pirate vessel playground. There are squirt cannons, water jets, and water slides. But the most fun is the 50 gallon pirate bucket that dumps water on the kids every few minutes. That's a lot of water! There are several interactive models around the beach as well as lots of soft giant LEGO bricks to build to your heart's content. For more information visit LEGOLANDDiscoveryCenter.com/dallasfw or call 877-818-1677. 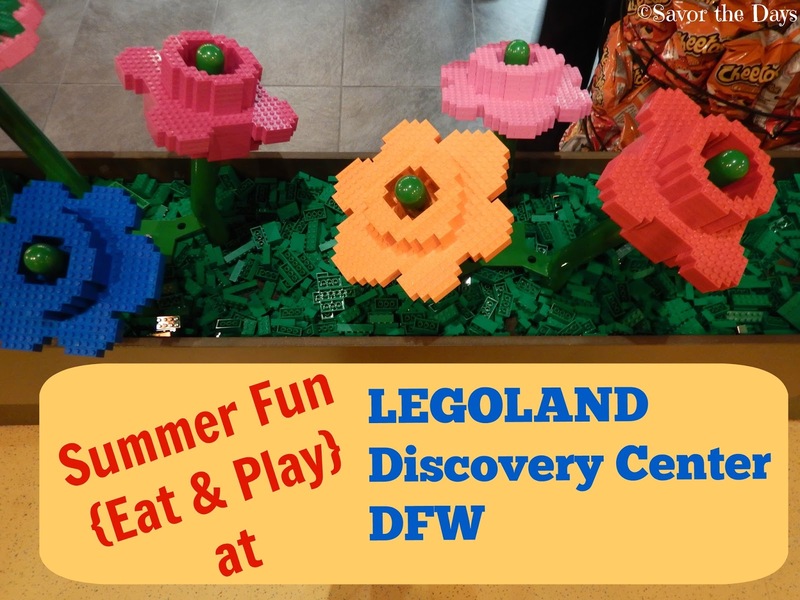 LEGOLAND® Discovery Center Dallas/Fort Worth is located at 3000 Grapevine Mills Parkway Grapevine, Texas 76051. LEGOLAND Hours: Monday - Friday, 10 a.m. to 7 p.m.; Saturday, 9 a.m. to 8:30 p.m.; and Sunday, 10 a.m. to 6:30 p.m. - last admission two hours prior to closing. LEGOLAND Ticket Prices: Admission is $21 for guests 3 years of age and older, free for kids 2 and under. As we were leaving I noticed that Grapevine Mills now offers Valet Service outside of the LEGOLAND entrance. Considering the crazy heat we get in the summers, I just might have to try this next time we come.